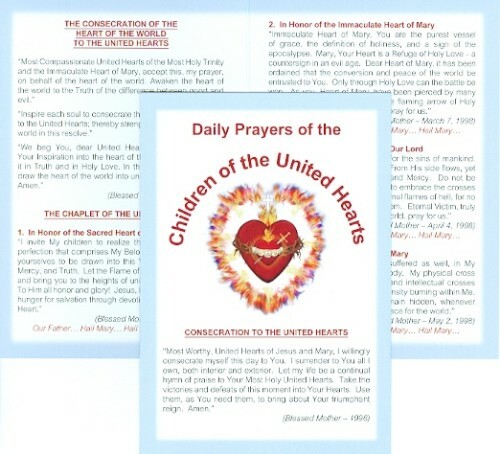 Prayer Card: Daily Prayers of the Children of the United Hearts (5 pack). Includes the prayers,"Consecration to the United Hearts","The Consecration Of the Heart of the World to the United Hearts", "The Chaplet of the United Hearts", and the "Prayer to the United Hearts of Jesus and Mary." Prayers dictated by Blessed Mother in 1996,1998 and 5/10/12.